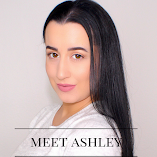 Ashley is the Editorial Director and Beauty Pro of Ashley Riley Beauty. She is also a freelance vlogger, blogger and writer transplanted from New York and living in Portland, Oregon. Inspired by the unique and strange beauty in all things, she can spot a pair of fantastic eyebrows and perfectly winged eyeliner from up to a half mile distance. After graduating with a MA in Social Policy, she came to the realization that beauty, makeup and style were her true passions. Upon deciding that her fiancé was never actually listening to her in-depth analyses of endless palettes and foundations, she decided it was time to create a special community. Ashley Riley Beauty is where she and others born with the MAC Cosmetics gene can share anything and everything inspired by beauty, style, makeup, and cosmetics. Founded in the late summer of 2015, Ashley Riley Beauty is only the very start of where Ashley hopes to take her compulsive beauty obsession. She is easily accessible on all forms of social media (see links below! ).